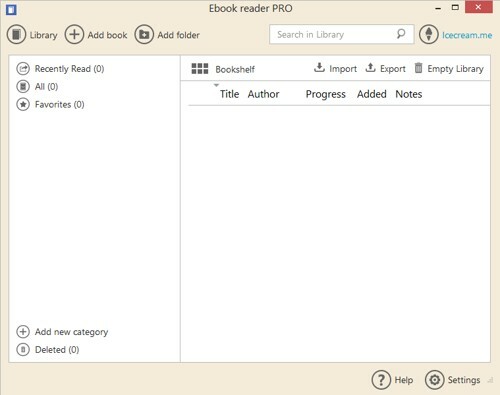 For a long time I am looking for a good desktop eBook reading app. Although we have ADE, Kindle, Calibre (I believe there are people using it to read eBooks), neither of them can satisfy me. ADE only supports EPUB and PDF, Kindle only supports their own formats, both of them usually become extremely slow when reading, that’s very annoying. Calibre? To be honest I only use it to preview a converted book. Days ago a desktop eBook reading software was put on my desk, so I installed it. Guess what, it quickly catches my attention. 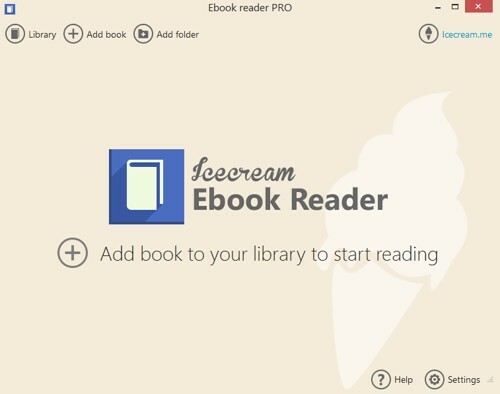 And the software is called Icecream Ebook Reader. Launching the software, you can easily figure out how to use it. Each clickable button has a clear explanation. At the center of the interface, you can add book to start reading by clicking it. The whole program adopts flat style design, the inner screen is also well-designed, you needn’ to read any manual to figure out how to use this program. Icecream Ebook Reader doesn’t support DRMed eBook, if your EPUB book is DRMed, you can use the Calibre DeDRM plugin to strip the DRM at first. EPUB, Mobi, PDF are the most frequently used formats for eBook, what’s more, this software even supports manga book format: CBR, CBZ. It’s really a one-stop solution for eBook fans. When you highlight a sentence in Icecream Ebook Reader, a menu will pop up, you can copy the sentence, highlight the sentence with the color you like, add note, translate it by Google, and search it in Google or Wikipedia. You can type any characters to search in the entire book, in my practical usage, I will type in page number to directly go there. We can filter highlights by color, and notes with/without comment. With this feature we can organize our reading behaviors much better. 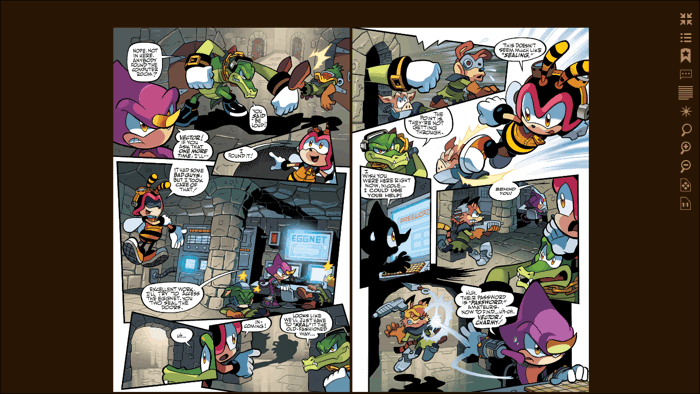 When reading cbr or cbz files, I recommend you enter full screen mode, which brings you the immersed experience. There is a tiny problem (I am not sure if this problem only happens on my computer): when reading manga, the mouse’s scroll wheel doesn’t work properly, I can only press keyboard’s arrow keys to flip page. The license costs you$19.95, it’s one-time payment and you can use it on 2 computers. With the coupon code below, you can get 30% off, which is $13.96. Currently this program is only for Windows.